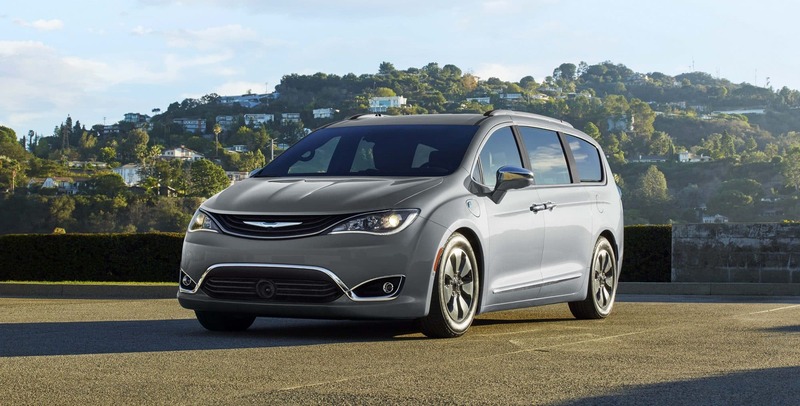 2018 comes with a new lineup for the Chrysler Pacifica. All the new features can be found on this brand new base trim. A lot of the new features are based on safety and security like rear parking sensors and blind-spot monitoring, but some of the new features are also here to improve technology access, like the updated Uconnect infotainment system that comes standard on all trims. New standalone options have been added and some of the packages were also broken up for easier access. 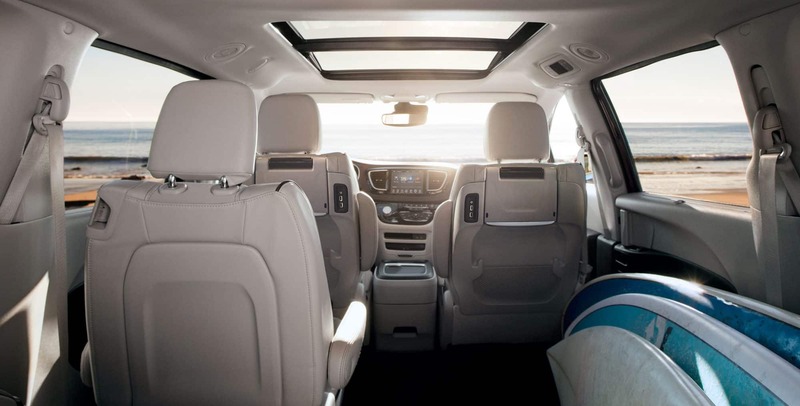 So many new upgrades and additions of new features have been included that the Pacifica has been titled the most awarded minivan of the year! What type of engine is available? 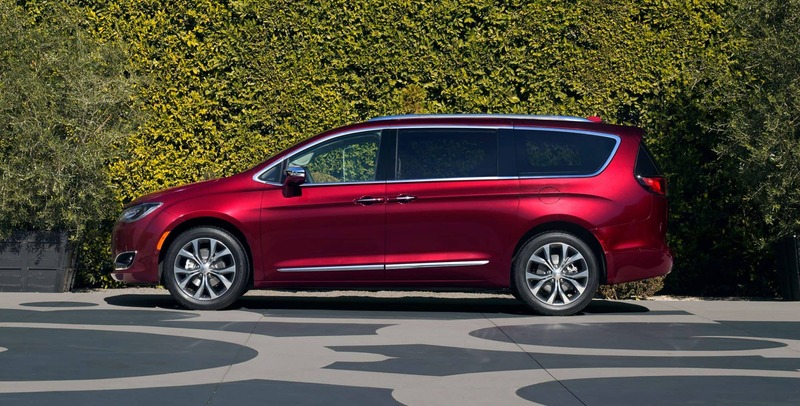 The engine found within the 2018 Pacifica is a 3.6-liter V6 with 287 horsepower and 262 lb-ft of torque. 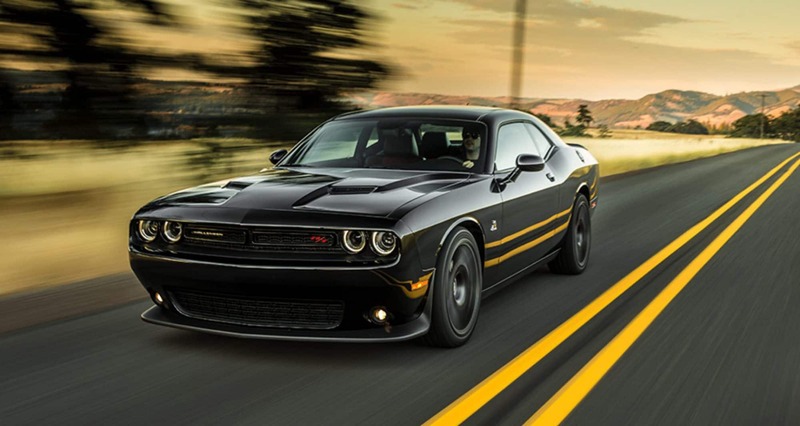 This engine and its paired nine-speed automatic transmission, make for the most powerful minivan on the market. The EPA also has given this minivan a fuel economy rating of an average 28 miles per gallon. A hybrid version of this engine uses dual electric motors with a 16kWh battery for an EPA fuel economy rating averaged at 84 MPGe. With the battery alone the Pacifica is able to drive up to 33 miles. 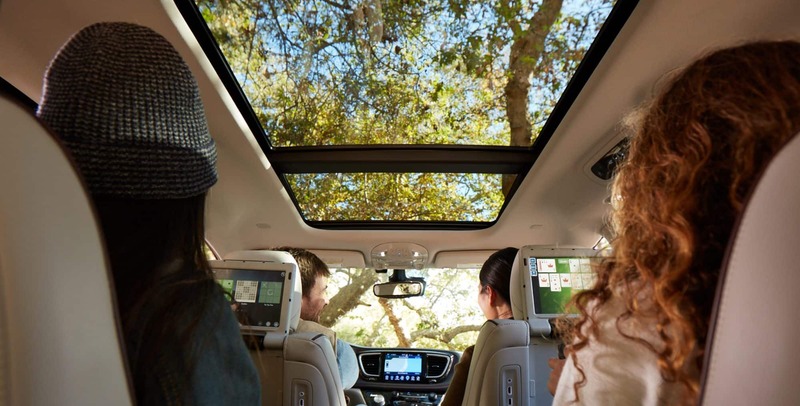 Standard safety and security features on the Pacifica are very important in helping to keep this minivan safe. Some of the standard equipment would be a KeySense built for teenagers that allows a parent/guardian to control the radio volume, the maximum speed, and to keep track of which safety measures had been activated during the drive. Over 100 additional features are also available as standard, standalone, or even within packages. Some of these available features would be a 360-degree surround view camera, forward collision warning, blind spot monitoring, parksense parallel and perpendicular park assist, rear cross traffic alert, front and rear parking sensors, and adaptive cruise control with a stop and go function. 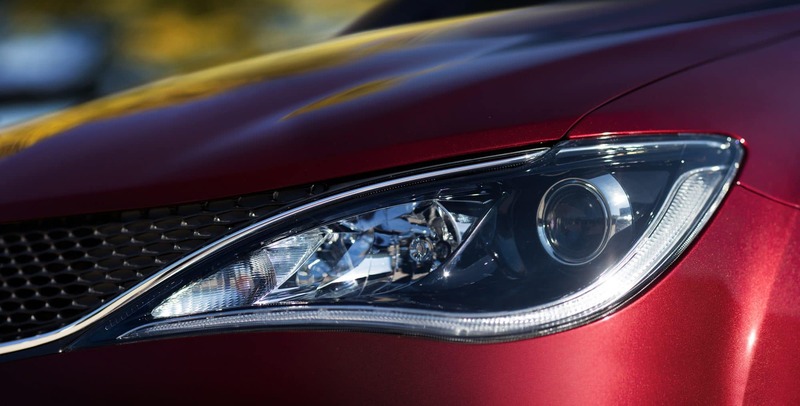 Six trim levels are available to choose from. The brand new starting trim is the L with dual-zone climate control, a USB port, a 7-inch touchscreen, keyless entry, and heated mirrors. The next trim is the LX with standard automatic engine stop/start, alloy wheels, a driver information display, and tri-zone automatic climate control. 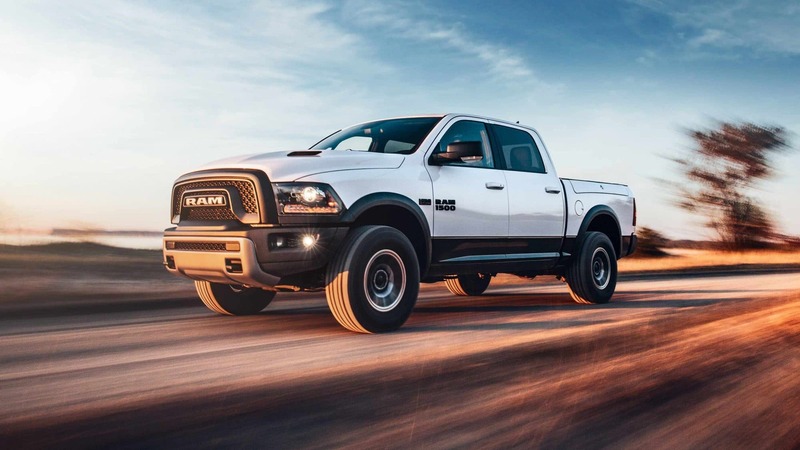 The third trim is the Plus with automatic headlights, remote engine start, LED taillights, automatic climate control, and power sliding rear doors. 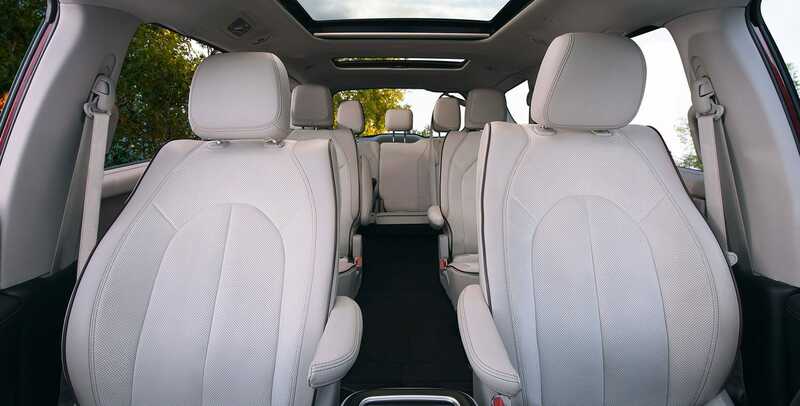 Next is the Touring L trim with leather upholstery, heated front seats, and second-row USB ports. This trim level also comes with the option to add a few different packages like the Advanced SafetyTec package or the Alpine Sound package. The Touring L Plus trim is next up with standard heated second-row seating, a heated steering wheel, two sunroofs, a navigation system, and an 8.4-inch touchscreen. The final trim is the Limited with power-folding mirrors, a hands-free liftgate and sliding doors, xenon headlamps, LED foglights, ventilated front seats, and an in-vehicle vacuum for all of the messiest of kids. 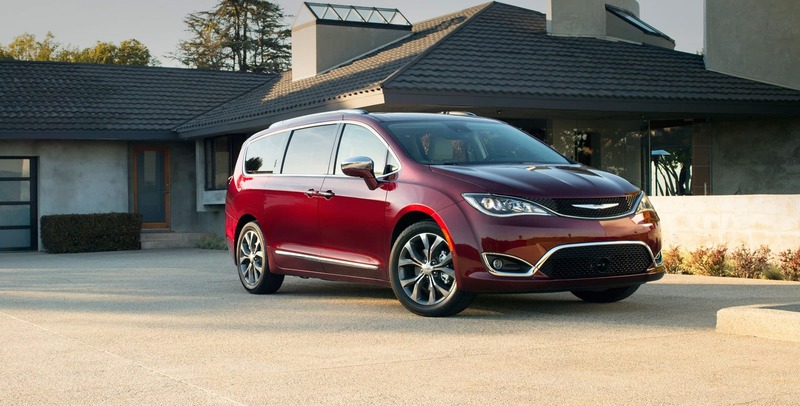 Have you been searching for that perfect minivan? 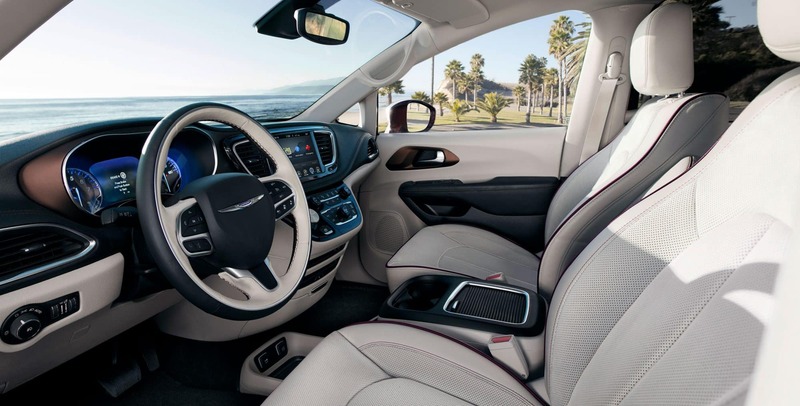 Look no further than the Pacifica. 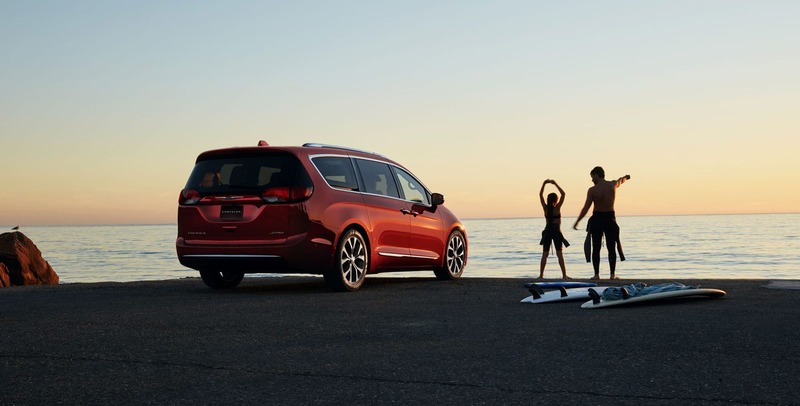 This minivan comes with all the greatest features, an excellent fuel economy, and plenty of safety and security functions. Come see for yourself!